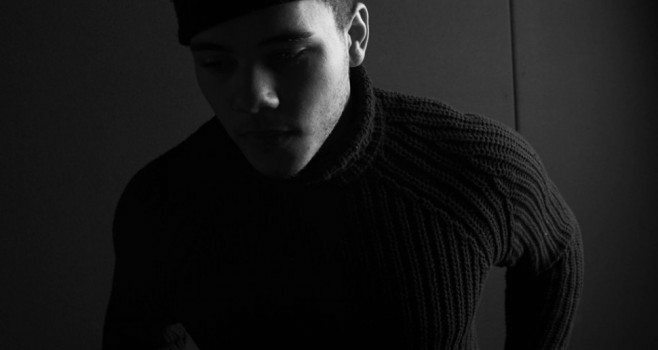 Joel Compass’ #1 fan, Pusha T (bro called up Island/Def Jam to get on this song after he heard Joel was signed to the label) jumps on fast rising R&B artist Joel Compass’ track for “Run”. On “Run”, Compass’ smooth tenor provides a quality complement for Push’s gritty coke-fueled braggadoccio. We, of course, are expecting further big things from Joel Compass in 2014. 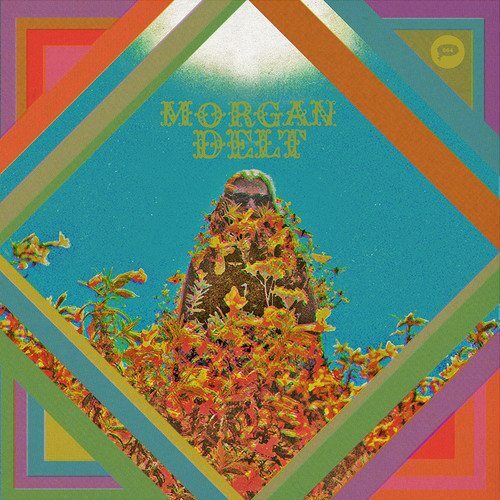 “Beneath The Black and Purple” is the lead single from Trouble in Mind Records artist Morgan Delt. The California-based Delt will release a self-titled debut LP through the label in January. “Beneath The Black and Purple” does well to balance it’s psychedelic-ness with a firm rudder of tight rhythm and concise melody. Megaton-voiced Ella Eyre, the UK songstress and vocal behind Rudimental’s #1 “Waiting All Night”, makes her solo debut with the Two-Inch Punch (!) produced mid-tempo shuffle of “Deeper”. Look for an album from Ms. Eyre next spring. 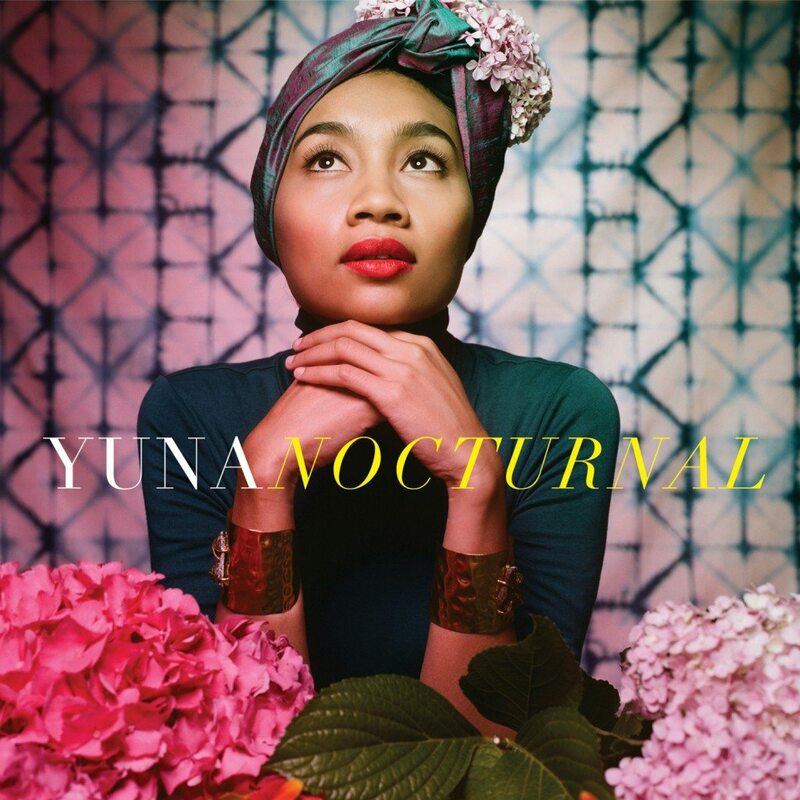 This week Yuna released her most anticipated studio album to date, Nocturnal, via Verve Records. B3SCI contributor Tip Jordan recently had the chance to catch up with the acclaimed Malaysian singer/songwriter to discuss her album, song lyrics, Mary Poppins and more. Have a look at their conversation below. B3SCI: The single, “Rescue” off of your new Nocturnal album was inspired by a friend of yours who you watched go through a rough time. Men and women alike have related to the song because it uplifts and celebrates triumph. What was your friend’s reaction when they heard the song? Do they know the song is about them? YUNA: I don’t really tell them though, I just think they know, because I talk to them all the time and I always tell them I’m proud of them. So I think, on the low, they know what I was singing about! B3SCI: How did you come up with titling your album, Nocturnal? Is there a concept or theory prevelant throughout the album? YUNA: When it was time to name the album, I wanted a name that means something to me. I have this thing where sometimes I stay up late at night doing work, and sometimes that is when I’m tempted to be on the piano, that is when I stumble upon a cool Youtube video and pick up my guitar, or that is when I watch a movie and get inspired by a line in that movie. Or just randomly be thinking about stuff that you wouldn’t normally think about during the day because you get so caught up with daily life. At night is just kinda when I get to sit down, and be by myself, and be creative. B3SCI: I read somewhere that you describe yourself and music as Mary Poppins & Coldplay. In what ways do you relate the two to yourself & artistry? YUNA: I’d like to think that my music is very positive and quirky – like Mary Poppins! And Coldplay, well they are just amazing in making songs that would go straight to your heart, and I’m always attracted to the idea of making heartfelt music that’s good for the soul. I don’t know. I guess that was what I was thinking about when I wrote that down on my Myspace Music page 7 years ago. B3SCI: How did you find your sound? You are not a “typical” artist in that you are pioneering a beautiful and rare genre of pop music. YUNA: Long years of self-discovery! I went through all these different things in my life. Like since I was very little I went for auditions, sending demos to record labels, constantly failing, constantly trying, sang back ups, sang in a group… I did it all. Eventually when you’re tired of trying to be something, all you have left to do is just to be yourself and then you’ll find out what you really, really like and and you’ll figure out your true strength musically. B3SCI: What music and artists inspire you? Anything that might come as a surprise to fans? YUNA: Pop, Hip hop, RnB, rock, alternative, punk.. all of it. I guess the one artist that really inspired me to get up and write songs, and perform was Feist. I love Feist! B3SCI: What activities do you like to partake in, during your spare time, in between traveling? YUNA: Working on my clothing store NovemberCulture.com, designing for my new line 14NOV! I love it. I’m just constantly doing something and creating something even in my free time. B3SCI: Will we ever get to see you with your hair down? YUNA: Haha! Sorry I’d have to say no to that! B3SCI: Are there any artists that you’d like to collaborate with that you haven’t already? B3SCI: Besides the fact that your voice is sultry and gravitating, your gift for song-writing is praised as well. What is the most powerful/favorite lyrics you believe you have written? B3SCI: “Falling”, the second single from Nocturnal, has the lyrics’, “I wanna forget, All this burden in my past I want to fall asleep, So I don’t have to remember!”. Is there a specific message you are wishing to convey in the song, that you’d like to share? Is their a story about how “Falling” came to be? YUNA: Falling is a song about wanting some sleep because you just had enough of the day, or of someone, you know? You’re just like so tired and so disenchanted you just wanna take a break from it all and rest your mind, and hopefully the next day you’ll figure things out. B3SCI: What can fans, expect from Nocturnal? YUNA: There’s a lot of different stories in this album. The vibe is picked up and it is amplified on this album from where I left my fans… I think they’ll be surprised.